It’s been more than three months that Xperia Z1 is out in the market and I felt it is the right time to gives you guys a rooting guide for this device as all the Xperia Z1 owners must be tempted to install custom ROMs now and for that you need to root your device. So in this guide you will get to know how to root Xperia Z1 and in next one I will be telling how to install a particular Custom ROM on your device. For those who don’t know what Xperia Z1 is the latest flagship device by Sony it runs on Quad Core Snapdragon 800 CPU with 2GB of RAM phone has 5 inch full HD TFT display. Similarly to Xperia Z, it is dust and water resistant. Make sure you backup all of your data, otherwise which will get wiped. Phone has sufficient battery at least 40 per cent to complete the rooting process. You have all the required drivers for Xperia Z1 installed. You can get all the drivers from Sony’s developer site in case they are not installed in your system. 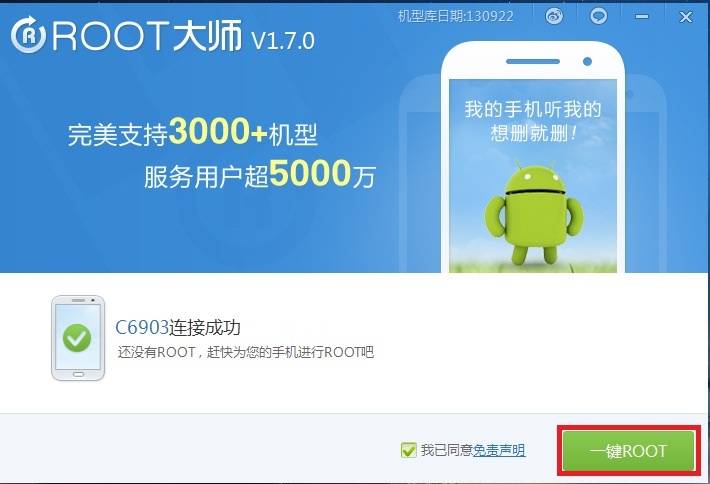 First of all download the rooting app from here and then in your phone go to Settings, where you will find Developers option, in that tick the USB Debugging mode to on. Start the Rooting app on your system, on first boot app will ask you to close adb.exe, do as it says. After this connect your Xperia Z1 to your system via USB cable and again start the rooting app. 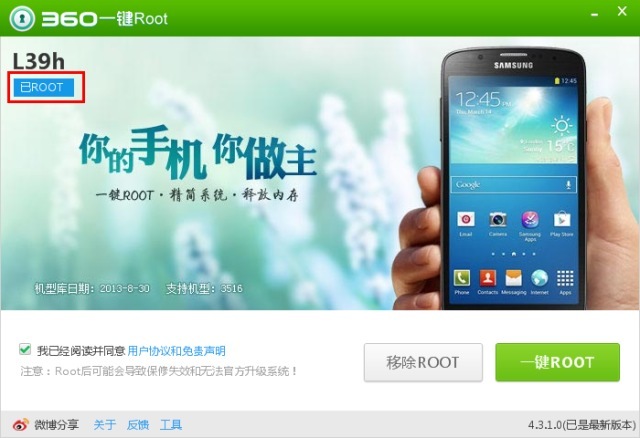 You will see that on the left corner of your device it will be written that your phone is not rooted. On the right hand side of the screen there will be a green button just click on that to start the rooting process and let the process complete. As soon as the process completes you will see a notification on your computer’s screen. Now you will have to click on the green button which would be present at bottom of your phone’s screen. Another message will pop up on your computer’s screen which confirms that your Xperia Z1 is now rooted. As you now have a rooted Xperia Z1, so you can now install apps which require root access such as Greenify or you can even install custom ROMs. If you know how to install custom ROMs then go ahead customise your device otherwise wait for our next guide. Till then enjoy! Note: Rooting your device can damage it and we don’t have any responsibility to damage caused to you or yours devices so do it on your own risk.